Georgie Henley is an English actress, who is best known for her portrayal of Lucy Pevensie in The Chronicles of Narnia film series. The girl continues to develop in the acting career even now, each year increasing her filmography with new pictures. Georgina Helen Henley was born July 9, 1995, in Yorkshire, England. She is the youngest of three daughters of Mike and Helen Henley, one of her older sisters, Rachael Henley and Laura Henley, is also an actress. Henley attended Moorfield School for Girls before attending Bradford Grammar School. When she was young, she was an active and talented person, so her parents decided that she should join a local drama group called Upstagers. It was there that she started her acting career, participating in stage performances such as Babushka: A Christmas Story and The Pied Piper, prior to landing her first role in a film. Besides, Georgie started to shoot in commercials since her childhood years. That way she managed to learn the ropes of acting techniques and every new shooting improved her skills. Georgie Henley did not only took the drama classes. She has finished the sixth form at Bradford Grammar School and began attending Cambridge University in fall 2013, to study English. Henley studied and graduated from Clare College, Cambridge with a Bachelor of Arts in English on 22 June 2016. When Pippa Hall, casting director for The Chronicles of Narnia: The Lion, the Witch and the Wardrobe, came to Georgie's town in search of children to play the four Pevensies, she knew Georgie was perfect for the role of Lucy after only one audition. 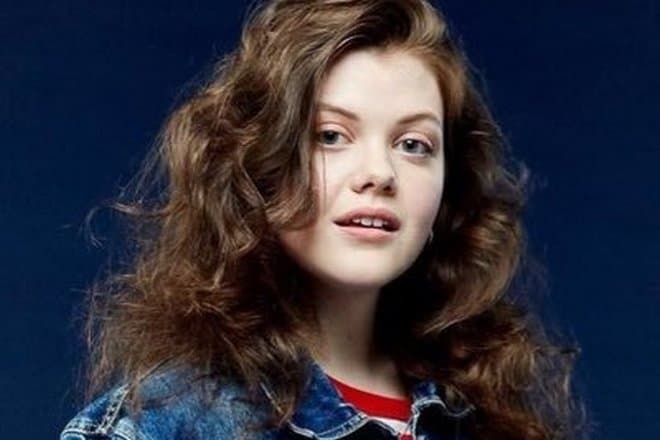 Finally, after many auditions, Georgie was picked from thousands of girls to play Lucy Pevensie in The Chronicles of Narnia: The Lion, the Witch and the Wardrobe, which was her movie debut. In order to find actors of four central children's roles, the director of the film Andrew Adamson personally met with hundreds of children, 400 of whom even managed to attend the auditions. As a result, the director chose the best one: besides Henley, there were William Moseley, Anna Popplewell, and Skandar Keynes. Only after being on the set of the film, Georgie was frightened because the potential stakes of the shootings were just enormous. However, the movie crew supported the girl and tried its best to help her to adjust and to get into the role. Henley perfectly accomplished a task, which was raised before. It can be proved by numerous awards, which the picture received after the release on the screens, as well as the fact that it grossed $ 700 billion worldwide. Since the release of The Lion, the Witch and the Wardrobe, Henley has appeared as Jill in the stage play Babes in the Wood put on by Upstagers' Theatre Group, which ran from 27 January to 4 February 2006. She also appeared as the young Jane Eyre in the 2006 BBC adaptation of Jane Eyre. In 2008, Georgie Henley reprised her role of Lucy Pevensie in the 2008 sequel The Chronicles of Narnia: Prince Caspian. 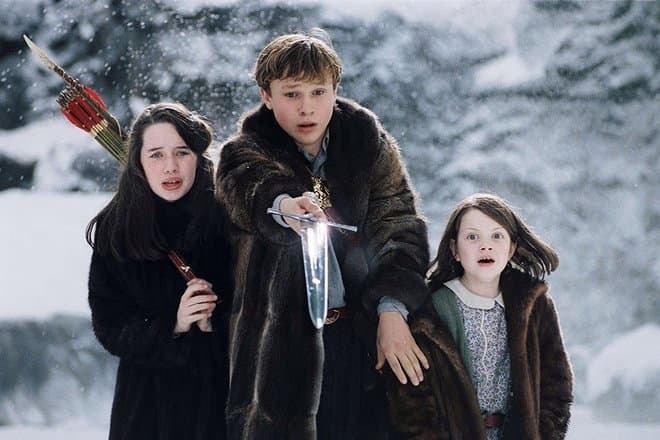 The four Pevensie children, who were already familiar to the audience, once again transported back in Narnia, but at this time it turned out to be not as enjoyable as the previous time. Only Prince Caspian, one and the last rightful ruler of a magical land, could bring peace between the Narnian and Telmarine kingdoms. The director spent a whole year for searching Ben Barnes who played the prince’s role; nevertheless, he managed to find the right candidate and did not fail. 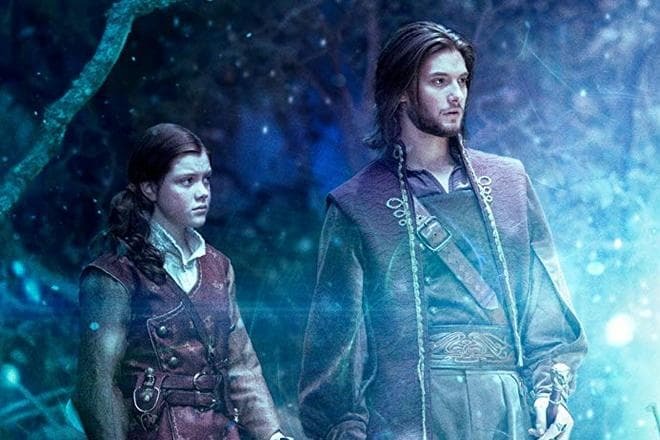 The next fantasy film with Georgie’s starring entitled The Chronicles of Narnia: The Voyage of the Dawn Treader was released in 2010.
Henley appears as Beth Anderson in the Canadian crime-drama Perfect Sisters directed by Stanley M. Brooks. It was released in April 2014. To get into the role better, Georgie had to learn to speak with a Canadian accent. The movie was based on the story of two Canadian teenaged sisters who killed their mother. In 2014, Henley played Mary Warren in The Sisterhood of Night based on a short story by Steven Millhauser. An American premiere was not successful enough, and after that period, there was a break in Henley’s acting career. She also stopped performing in the theater. As of 2015, Henley was writing and directing her first short film, TIDE. The audience could watch its dramatic picture only in 2016; however, it did not bring much success to the actress. In late 2016, Henley starred in the comedy-drama movie Access All Areas starring as Nat. 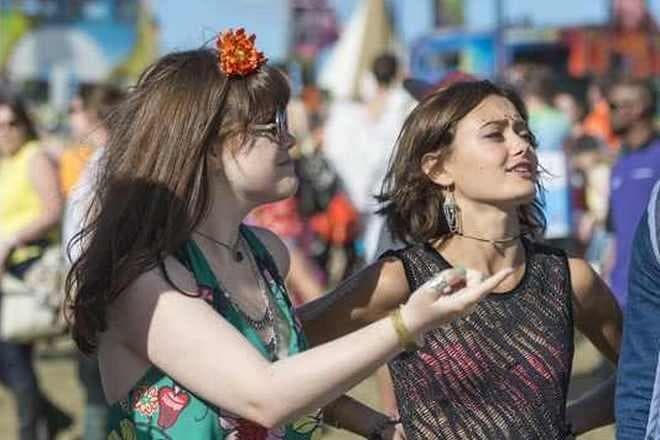 The plot is about the group of friends; in spite of the unwelcome appearance of their maniacal busy parents, they started a wild road-trip to the Isle of Sounds festival where they lose themselves in the crowd and find themselves in the music. There is not so much information about Henley's personal life. Time has passed since the filming of The Chronicles of Narnia, and Georgie from a lovely teenager has turned into a charming beauty. Once there were even rumors that the girl was dating co-starred partner Skandar Keynes. However, young people did not comment on this information. 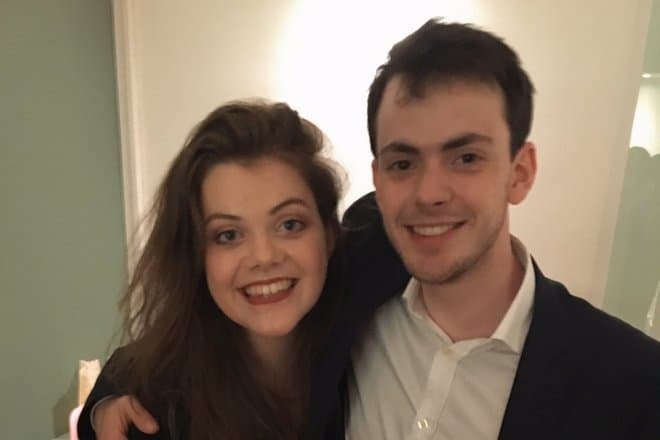 Georgie Henley’s current relationship status is not known at the moment, as no news has yet been received in the press. She is an active user of Instagram and Twitter and often communicates with her fans. The actress likes posting photos from various events and shootings, as well as personal shots. Georgie Henley stands at the height of 5 feet 4 inches, which is the equivalent of 163 cm. At this height, he weighs a decent 57 kg, which is the equivalent of 125.6 lbs. The girl's figure measurements are not precisely like a model, maybe that is why Georgie prefers not to post photos in a swimming suit and other revealing clothes or she just adheres to certain principles. 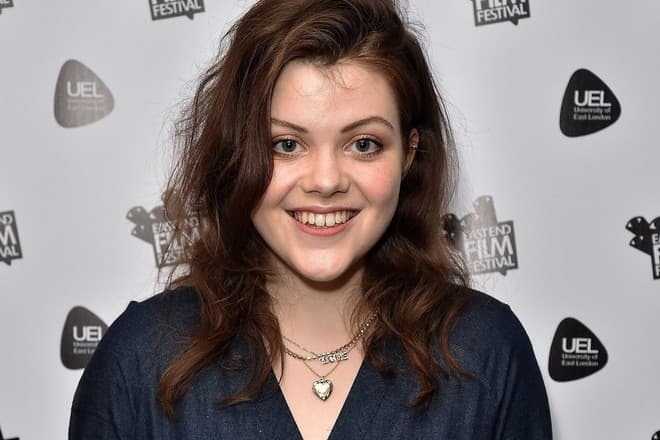 In 2018, Georgie Henley started to cast in Starz’s new historical drama miniseries The Spanish Princess based on the novels The Constant Princess and The King's Curse by Philippa Gregory, the English historical novelist and screenwriter. The series is a follow-up to The White Queen and The White Princess that explore the inner lives of women in power who are often overlooked (and were underestimated). This time, the focus is on Catherine of Aragon (Charlotte Hope), best known as being the first, long-suffering wife of Henry VIII (Ruairi O’Connor), a woman he eventually divorced to marry Anne Boleyn, causing a religious schism that set the stage for the Protestant Reformation. The latter part is best experienced by watching the series like The Tudors and Wolf Hall, but The Spanish Princess starts its story much earlier, to when Catherine first arrives in England, and she and Henry fall in love. The miniseries is set to premiere on Starz on May 5, 2019. Georgie Henley has not revealed her current salary. However, she has an estimated net worth of around $6 million at present.